MK here. 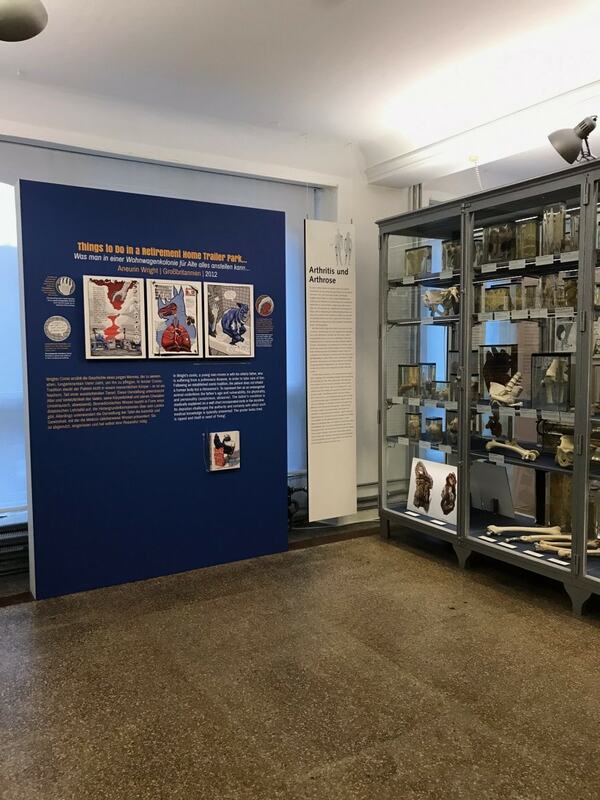 Just back from Berlin where Ian and I had the great honor of attending and speaking at the PathoGraphics conference and seeing the amazing Sick! art exhibit. There is much to report – far more than I can give fair coverage to here, as I took 29 pages of notes during the four days of events, but I want to highlight a few things. Images from Nye Wrights’s “Things to Do in a Retirement Home Trailer Park When You are 29 and Unemployed” are exhibited, annotated next to educational specimen s of bone and preserved tissue. 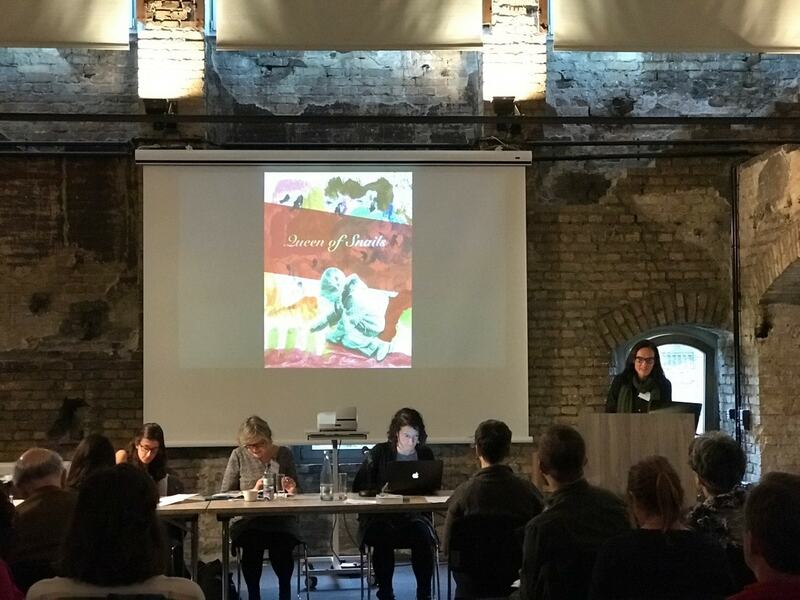 Maureen Burdock discusses her forthcoming comic art based dissertation, “Schneckenkönigin” (“Queen of Snails”). 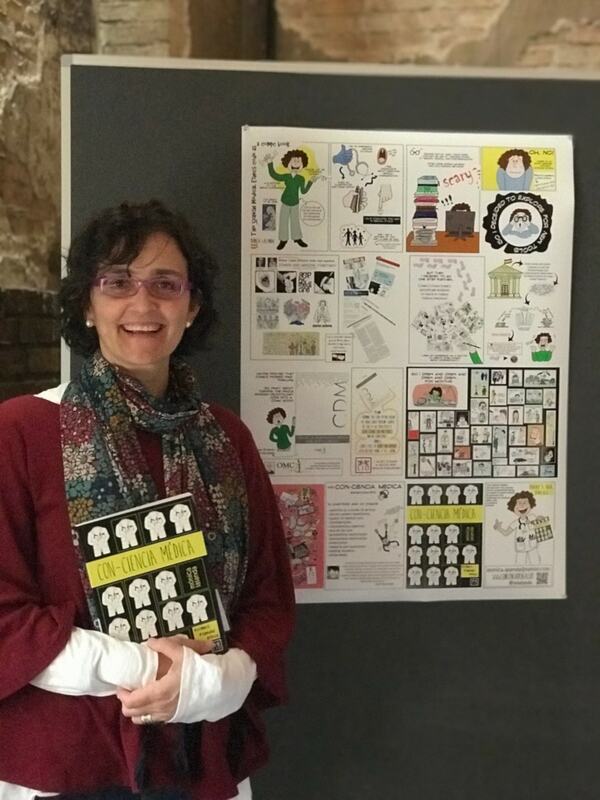 Monica Lalanda, physician and coordinator of our sister site, Medica Gráphica, with her PathoGraphics poster, “The Spanish Medical Ethics Code as a Comic Book”. and the gorgeous space in which our conference was held. The conference room was a former dissection theater housed in a medical museum. The same room in use can be seen in the historical photo on the wall. 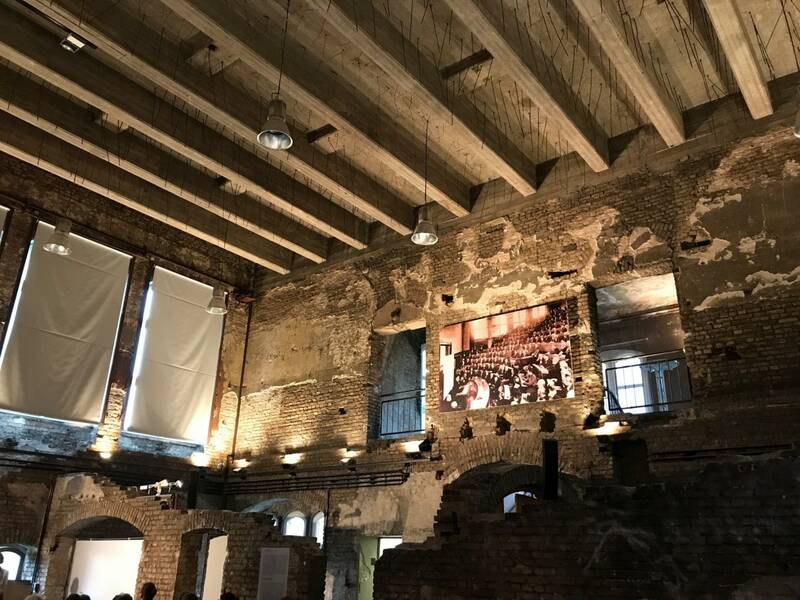 External walls were added to the building after it was bombed during World War II, but the internal destruction was left evident. 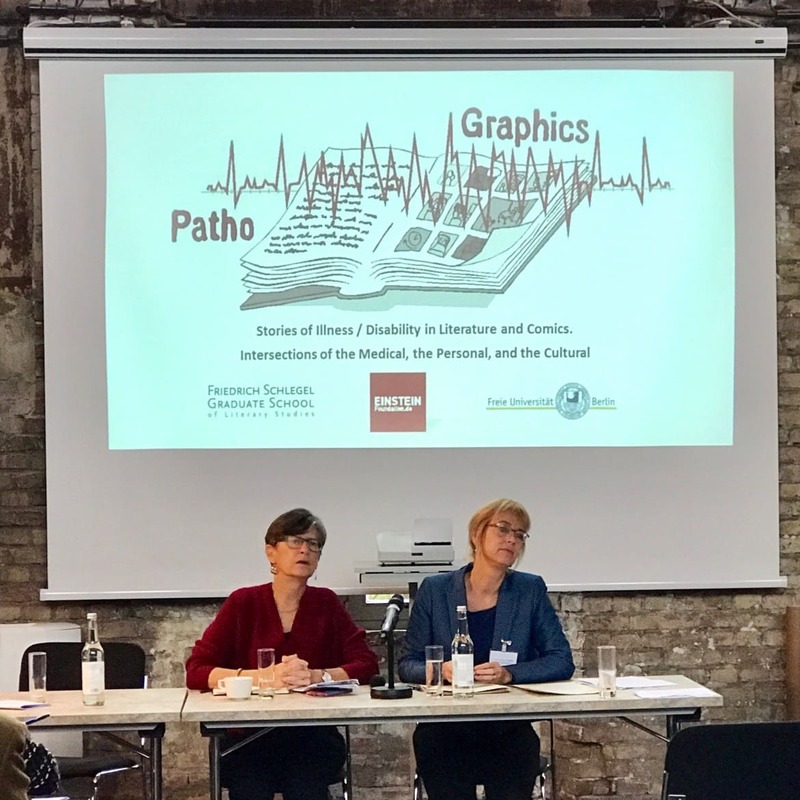 And lastly but absolutely not least, here are our conference directors, Susan Merrill Squier and Irmela Krüger-Fürhoff as they prepared to kick off the stimulating conference on Friday AM. And here they are taking questions as the conference drew to a close on Sunday. 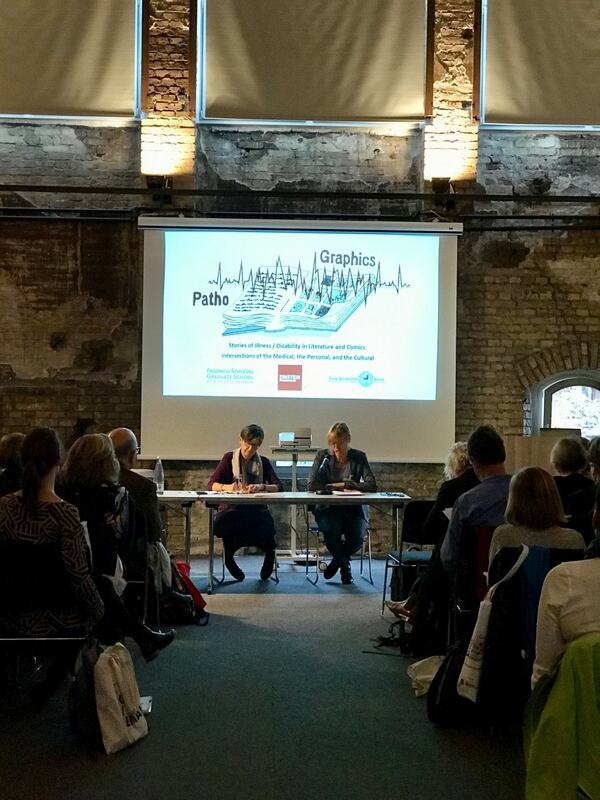 Many congratulations and thanks to the entire PathoGraphics team curating this magnificent series of events!